File Manager is an application program which provides you an interface to work with file systems and enables you to perform several operations (such as create, copy, edit, delete etc.) on files. So, File Manager is one of the most essential and required application in every smartphone. Here I will discuss about iPhone and iPad devices. In case if your inbuilt File Manager app is not good or you don’t like that, you can download your favorite File Manager for your iPhone/iPad from Apple’s iTunes App Store. So guys, in this article I’ve come up with 3 best & free file manager apps for your iPhone and iPad. File Manager is a FREE file manager and virtual USB drive for the iPhone and iPad. 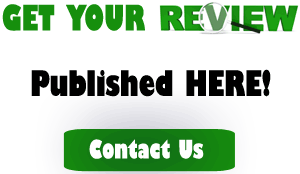 You can easily view images, audio, videos, PDF documents, Word documents, Excel documents, ZIP/RAR files and more. There are several features of this app as mentioned below. Not only this but still more and more features you’ll find when you start using this app on your iPhone and iPad. It requires iOS 5.0 or later and compatible with iPhone, iPad and iPod Touch. 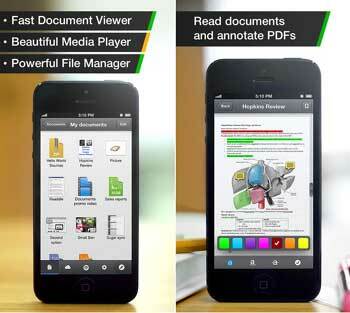 It is a free file manager, media player, photo album and document viewer for your iPhone and iPad. You can read, listen, view, download, annotate almost anything you want on your iPad. So, manage files, documents, music, videos, books, any content at one place in Documents by Readdle. To know about more features and download this app from iTunes App Store, just visit the above link. The app requires iOS 6.0 or later and compatible with iPhone, iPad and iPod Touch. FileMaster is a free File Manager, downloader, document viewer, video/audio player, text editor, WiFi drive, and more for iPhone, iPad & iPod Touch. FileMaster is very easy to use because of its separate and simple functions. Some of its features are following. As the name suggests, it is really File Master. The FileMaster requires iOS 5.0 or later. It is compatible with iPhone, iPad and iPod touch and optimized for iPhone 5. As every iPhone and iPad comes with the inbuilt File Manager but if you don’t like your default file manager of your iPhone/iPad then you can use any of the above. All of them are absolutely free and best for your devices. Further, there are several premium File Manager apps are also available on iTunes. But if you don’t wanna pay for it, then all of the above are best choice.